Join the National Command Club! 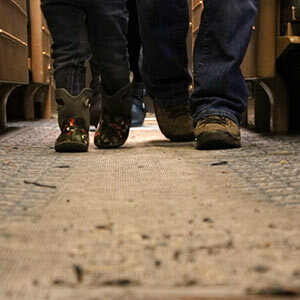 For more than 20 years, The Durham Museum’s train cars have been a favorite of millions of museum visitors, who have climbed aboard to experience what it was like to travel by train. 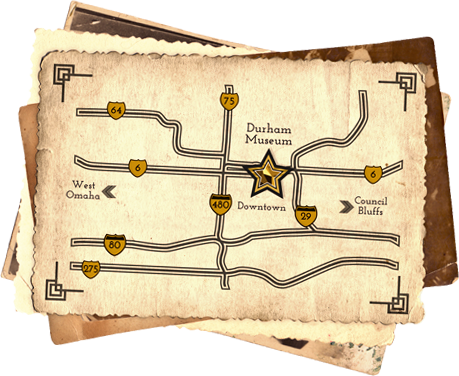 These well-loved pieces of our railroading history are also well-worn, and The Durham is excited to announce a campaign to restore one of our beloved cars to its previous condition. But we need your help! Please make a donation to join the National Command Club and help us get the renovations underway in this car! 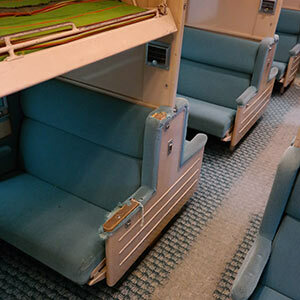 Your tax-deductible gift will help us re-carpet, re-upholster, and revitalize the “National Command” 1202 sleeper car, as well as repair and replace fixtures to return the car to its former glory. 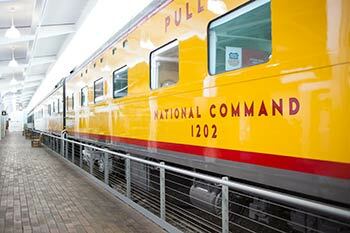 The National Command 1202 is a Pullman sleeper car built in 1956. It contains 6 roomettes (single rooms), 4 double bedrooms, and 6 open sections with upper berths each containing two lower berth bench seats. Union Pacific added the number 1202 to the car in July of 1969. 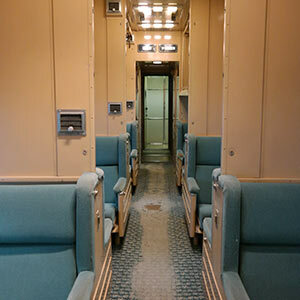 When passenger travel ended in the ‘70s, the car was sold to a private owner for a period of time before returning to the Union Pacific fleet for special service. 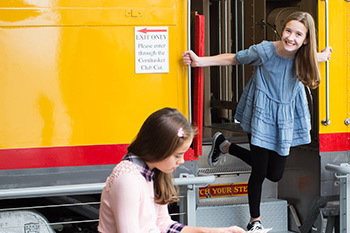 It has been on display at The Durham Museum since the ‘90s, where visitors walk through daily and imagine what life was like during the era of passenger rail travel. The Durham Museum has engaged former railroaders, volunteers, and professionals to help guide the restoration of this historic car. Every effort is being made to choose materials that reflect the look, feel, and spirit of the car as it was in its service years. The car will be restored using professional installers, and may be closed for a time during the spring as restoration work gets underway. The entire restoration effort for this car will cost $55,000. The goal for this community-wide crowdfunding effort is $30,000, and these funds will be paired with funds from private sources to complete the restoration work on the National Command train car. Be a contributor! Donate today using the red button below or simply call the museum at 402-444-5071. See details below. Share your story! Have a great memory of visiting the trains? Let us know! Look for our posts on social media and add your story to the mix. Tell a friend! Know somebody that might want to be a part of this effort? Send them our information! Gifts of any denomination are welcome and appreciated. Gifts over $12.02 will be recognized at the appropriate level. As our way of saying thanks, we will include your name or the name of your designated honoree (one name per each gift of $12.02 or $120.20) in the “patron passenger manifest” signage and on this web page for at least one year. 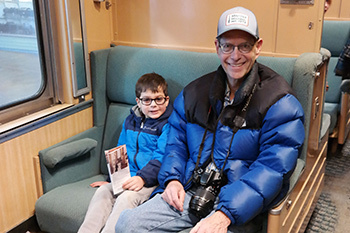 For donors at the Private Level, we will place a plaque inside the train to designate sponsorship of individual bench seats for at least five years. Gifts received after April 15 would be greatly appreciated and would be used toward train car restoration and maintenance efforts; however, your name may not be able to be included in the recognition signage. The National Command Club is a great way to join a community-wide grassroots effort to preserve a beloved piece of history, or to honor friends or loved ones in a fun and unique way. If you’d like, your gift can be made in the name of a child, grandchild, friend or relative.